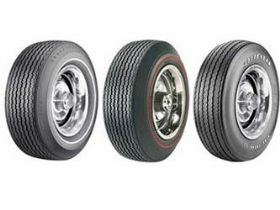 NTTyres has established itself as one of the leading suppliers of hard to get unique tyres for your needs when restoring that Vintage, Veteran Classic or Muscle car. 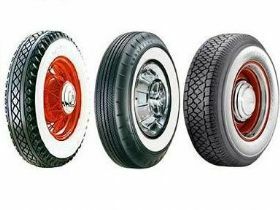 Options from our range include Whitewall, Redwall and Raised White Lettered tyres in various sizes and profiles to match most needs when the focus is 1950s through to present day. Whether it be 5/8 through to 4 inch Whitewalls or late 60s Red walls or White Raised letters, we have a range available that should suit your needs. 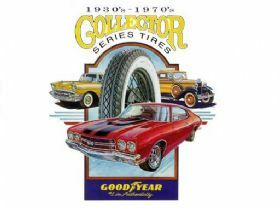 Made by GOODYEAR who happen to be the only manufacturer still using the original moulds and manufactured in their own factory, still ensuring the quality and specification of the tyres so you are assured of the same quality as the original, which in most cases was developed for an OE application. These are the tyres that Detroit wanted, asked for and Goodyear delivered. Our aim here at NTTyres is to have a consistent supply available, while endeavouring to meet the demands before us. We are continually on the lookout for new products to incorporate into our available range. 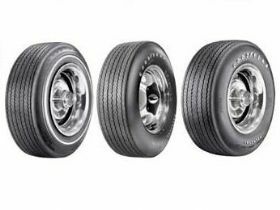 We encourage you to visit our web site that has been designed to allow you the easiest route to assessing the available tyres with their specifications to ensure you have the right tyre, the original tyre, on your Classic vehicle. 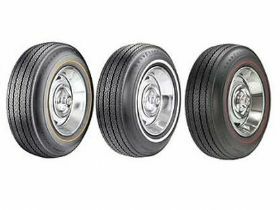 With access to Goodyears in house OE spec sheets we have been able to offer a comprehensive list of vehicle tyre specs against available tyres, in many cases citing the chassis numbers to tyre fitments, worth a look especially for the 1950 through 1970 builds if you are looking for that final piece of authenticity. Our passion for tyres only forces us to look harder for the tyres you want, and is best encompassed with our theme of search globally, sell locally.